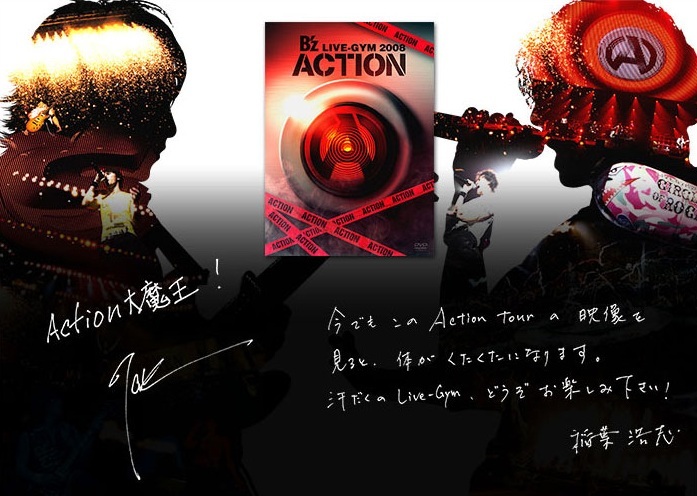 B’z LIVE-GYM 2008 “ACTION” is out now on DVD and Blu-ray! Tak and Koshi have released a message for their fans concerning the long awaited home video release of this LIVE-GYM tour. Among pre-orders of upcoming releases, this home video release was ranked 2nd with only NEWS’ home video release of their “LIVE TOUR 2012~Utsukushii Koi ni suru yo~” tour gathering more pre-orders. Now, without further ado, here’s the message from Tak and Koshi! –NOTE: This is actually a joke by Tak. He is referencing an anime show from the 70s called “Hakushon Daimaou”(link). Japanese people pronounce ACTION as “akushon” which almost sounds like “hakushon”. When I rewatch the footage of our Action Tour now, my body is getting exhausted once again. Please enjoy watching a Live-Gym soaked with sweat! The results of the T-Shirt requests have been posted. The catch is, that only the T-Shirt ranked at #1 will be resold. In other words, ONLY the B’z LIVE-GYM ’99 BROTHERHOOD T-Shirt will be reprinted and resold at the Pleasure tour arenas. ACTION Arena Tour Ending SE = “Glory Days”? A few days ago, a friend was so kind to send me a recording of one of the ACTION tour concerts, namely the one in Saitama Super Arena. Since I really wanted to listen to the new ending song, I immediately switched on my music player and hit the PLAY button. So, what I heard was a very bright and upbeat song. And Tak’s guitar solo is just A-W-E-S-O-M-E. 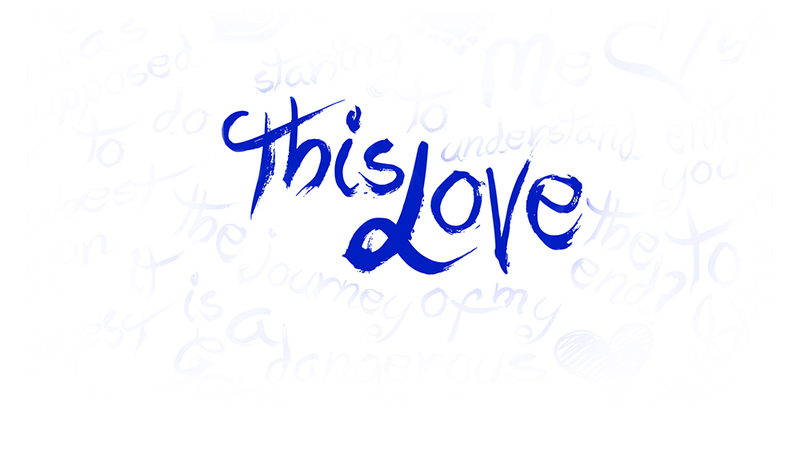 In order to find out what the title of the song could be, I closely listened to the lyrics. At first, I didn’t notice anything particular at all, but after listening to it a few times, I noticed that at the end of the chorus an off-voice sings “WHAT A GLORY DAY”(or something similar). So I assume it’s Glory Days. What else could it be, anyway? 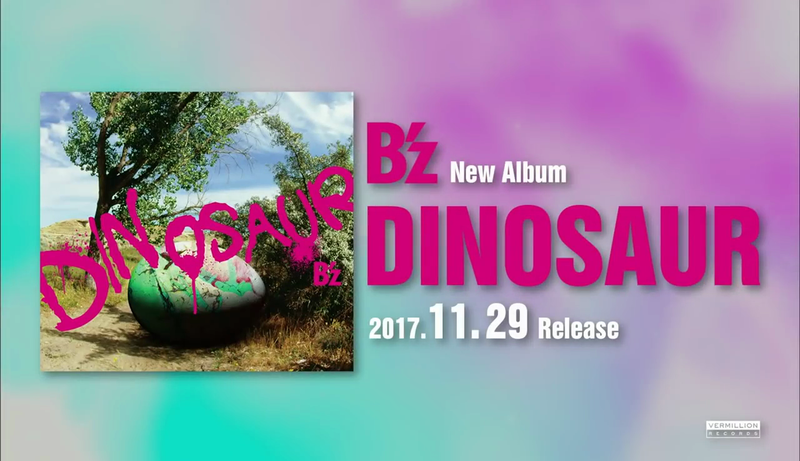 I highly doubt that it’s “Itsuka Mata Koko De” because this song will play a significant role in the Pleasure 2008 tour. If you translate the title, it’s “Someday here again” after all. The official LIVE-GYM website has been updated and now includes the tour reports on the ACTION tour concerts in Hiroshima Green Arena and Kobe World Kinen Hall. If you would like to check them out, then visit the official LIVE-GYM website HERE. Furthermore, the logo for the LIVE-GYM Pleasure 2008 -GLORY DAYS- tour has been put up! You will see it immediately when you visit the LIVE-GYM website. The logo itself is painted in the colors of a rainbow and thus, pretty colorful. 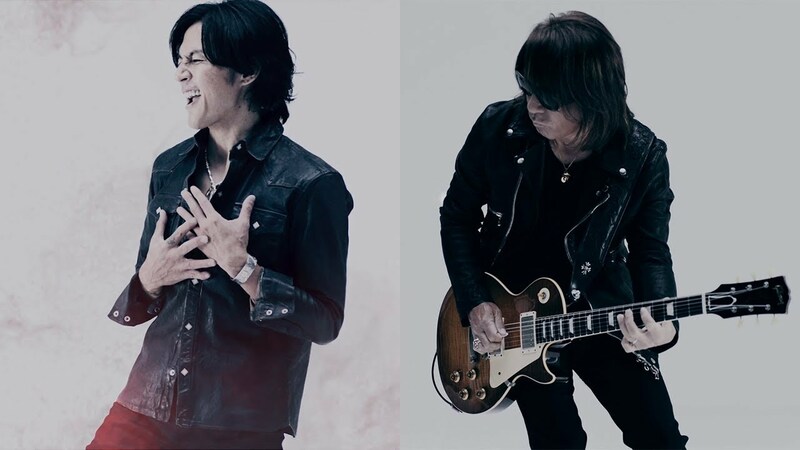 After reading the latest press release from BARCO “Japan’s hottest rock band takes magic carpet ride with Barco’s Creative LED“, I found out that it is indeed Mark Fisher who is doing the stage set design for B’z LIVE-GYM 2008 tour. Mark Fisher used to design stage sets for the Rolling Stones and U2 which underlines the quality and detail he puts into his work. 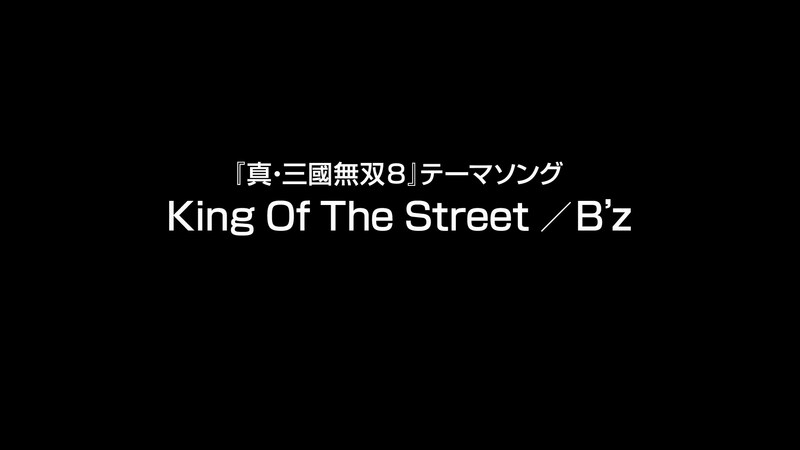 Also, Mark Fisher was designing the stage set for B’z LIVE-GYM 2006 MONSTER’S GARAGE tour. But the real deal is that Mark Fisher is using Barco’s LEDs to create a giant carpet-like LED screen, mounted on the stage, above the band playing their music. Aside from Barco’s press release, a few other websites report about this press release. If you would like to go into further detail(with pictures) about Mark Fisher and his magic LED carpet, please click the link below. 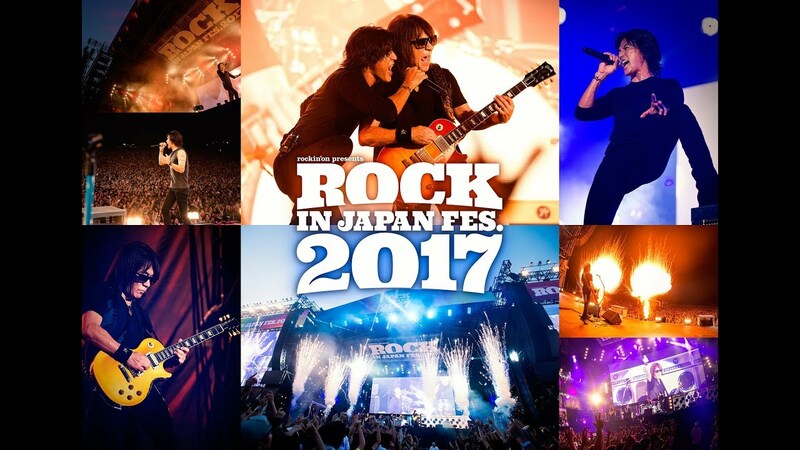 The Official LIVE-GYM website has been updated to include the impressions on the ACTION tour concert in Osaka Jo Hall. If you’d like to check it out, you can do it HERE.